Celebrate a handmade holiday this year with With Love, Crochet. There are some cute hats, jewelry, & art in my shop. I'd love it if one of my items sat under your tree for the holidays! 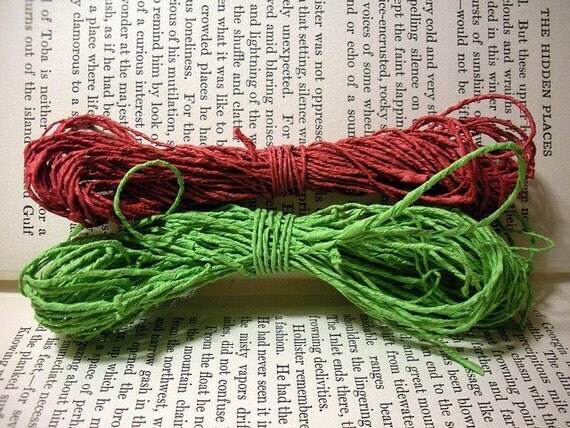 Red & Green Hand Spun Tissue Paper Yarn! This stuff is super neat & super strong! Next week on Cross My Hooks Hooray for a Handmade Holiday video tutorial series you can learn how to use this as a gift bow!